This is a email marketing testing diagram powerpoint show. This is a three stage process. The stages in this process are subject line a, subject line b, group a gets only 1 click boooo, group b gets 25 clicks woohoo, campaign with subject line b is automatically sent to remainder of your list. 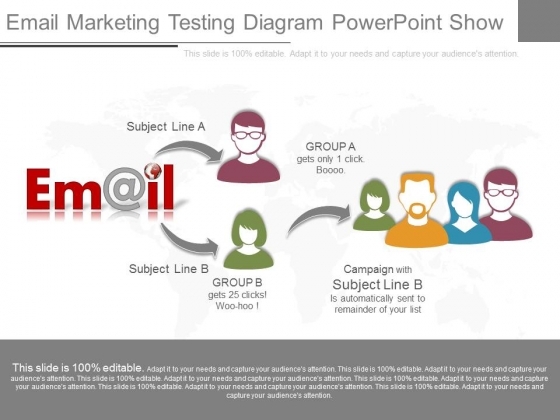 Exceed expectations with our Email Marketing Testing Diagram Powerpoint Show. You will come out on top. This is a virtual work environment ppt powerpoint guide. This is a six stage process. The stages in this process are work laptop, office, home pc, colleague, tablet, smart phone. Etch your thoughts in the minds of your audience. 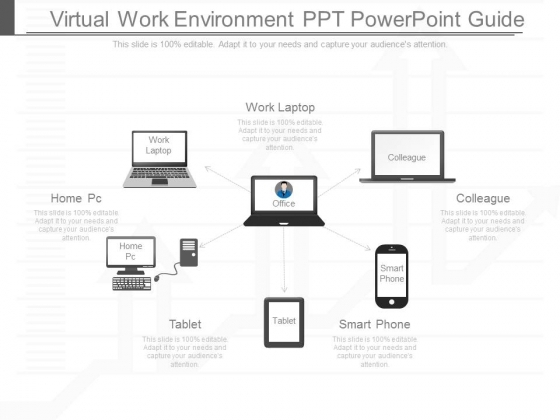 Engrave them with our Virtual Work Environment Ppt Powerpoint Guide. This is a filed marketing product solution ppt presentation. This is a two stage process. The stages in this process are product solution, filed marketing. 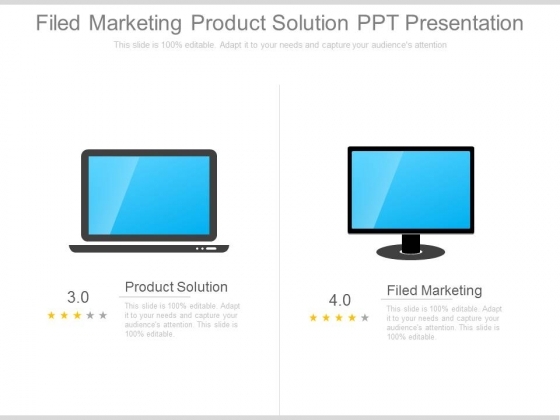 Our Filed Marketing Product Solution Ppt Presentation will increase your fans. The numbers will grow day by day. This is a original marketing model banner ads ppt example. This is a four stage process. The stages in this process are business, technology, internet, marketing. 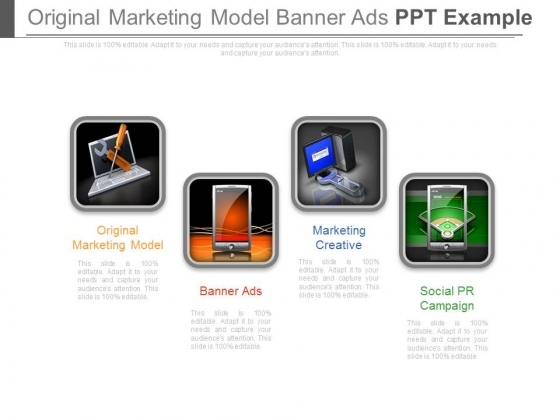 Our Original Marketing Model Banner Ads Ppt Example will not falter at the altar. They adhere to the vows they make.